In three steps, homeowners get a price and timeline for their winter or summer landscape maintenance work. Tech companies connecting consumers to contractors or businesses are springing up across the country and in a wide range of industries. Proponents make the case that in some ways, landscaping services are an ideal fit for the Uber business model. 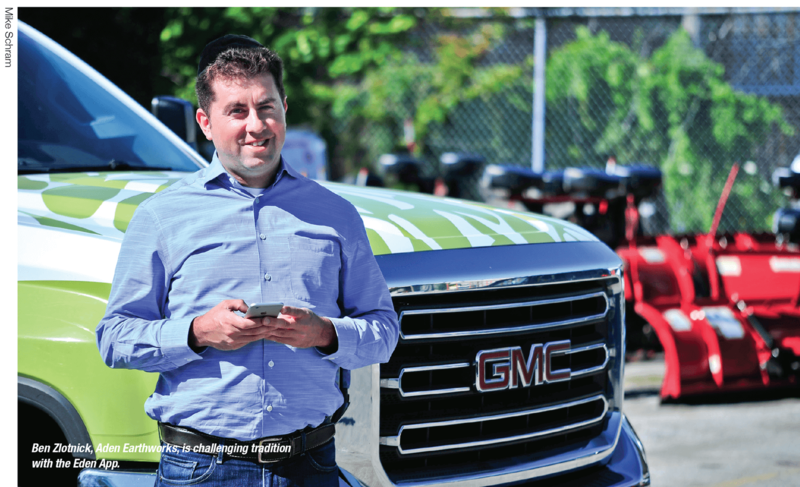 Ben Zlotnick is the owner of Aden Earthworks, a full-service landscape company that has been in business in the Greater Toronto Area for 15 years. Zlotnick launched Eden App in 2016 with the goal of making it easy for consumers to find good contractors, while at the same time, providing value to contractors. The value for landscape contractors is in lead generation, and perhaps more importantly, not having to worry about chasing clients for payment. The platform takes care of “all of the admin,” says Zlotnick, including automated payment services. Eden can be accessed through a free Android or Google app, or through a web browser. Contractors use a separate app that allows them to view and select jobs based on a first-come, first-serve basis. Eden also has a system to connect customers looking for regularly scheduled maintenance with contractors. Sheldon Zhang runs Yardly, a similar web-based platform currently operating in Edmonton, Calgary and Winnipeg. Launched in 2015, Yardly is also designed for one-off snow and grass services, or regularly scheduled maintenance. The traditional business model doesn’t always serve contractors, either, Zhang argues. With Yardly, Zhang says, contractors are able to pick and choose jobs that make sense geographically, allowing them to save time and money. 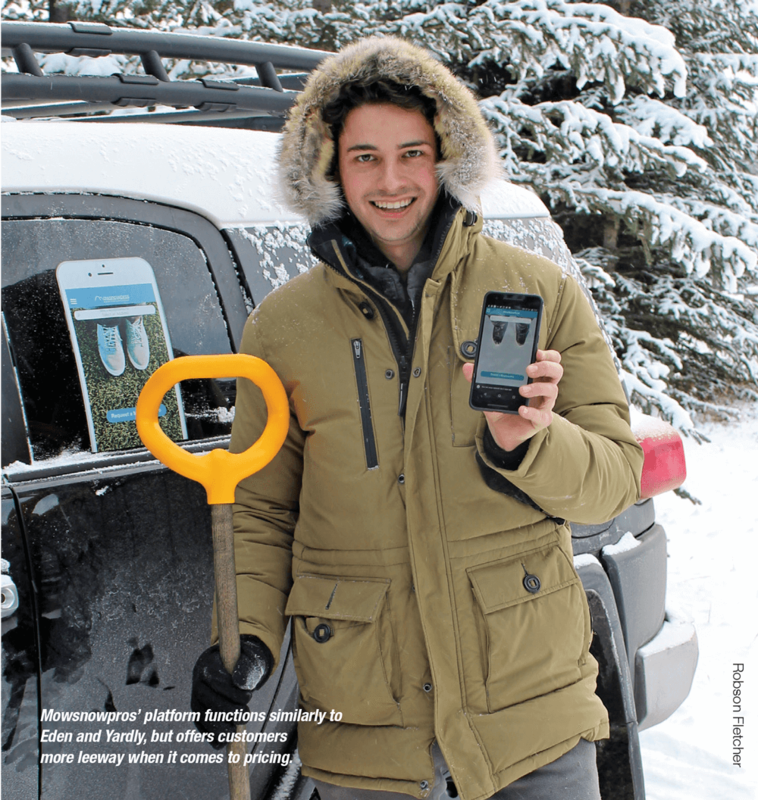 Aiden Klingbeil launched Mowsnowpros in 2016 in Calgary. The platform functions similarly to Eden and Yardly, except customers have more leeway when it comes to pricing. “Customers put in their address, and based on the property size they choose, the app automatically gives them an average price they should be offering, then it’s left up to them to decide if the price sounds fair, ” Klingbeil says. “They can choose to bid a lesser amount if the work isn’t urgent, or if they want to ensure the job gets done as soon as possible, they can choose to bid a higher amount.” Contractors select jobs on a first-come, first-serve basis, Klingbeil says, and customers are incentivized to select fair pricing because if they bid too low, their job won’t be picked up. Lethbridge and Saskatoon, Klingbeil says Mowsnowpros is primarily aimed at customers looking for one-off snow plow or grass cutting service. Eden, on the other hand, is set up to connect customers with a wider range of services, including landscape construction projects like patios, water features, decks and fences. Eden sets itself apart in terms of pricing. The pricing model looks the same to the customer, who receives a quote on the app or web browser by inputting the size of his driveway or yard. For construction projects, the contractor visits the home to quote, just like a traditional job. The difference for Eden is that where Yardly and Mowsnowpros take a percentage of the quote (25 per cent for Yardly, Mowsnowpros did not disclose its rate), Eden charges its fee to the customer, on top of the rate the contractor selects. Joe Puglisi runs CNJ Contracting in Toronto, Ont., with six staff members and three trucks. In business for three years, CNJ provides snow removal in the winter and interlock and carpentry builds through the summer. Several years into the trend of Uber-style landscaping apps, the platforms are clearly working for some customers and contractors. But is there a catch? For landscape companies that are efficient with overhead and administration, and already have brand recognition or effective marketing, it may not be worth giving up any slice of revenue to a third party. Some contractors may also be wary about the impact on customer retention and word-of-mouth business when they go through a third party platform. Would a customer recommend your business to friends or neighbours? Or would she recommend the app? However, these tech advances seem to be working well for some contactors and customers. 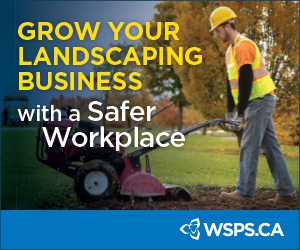 The question becomes, will these tech platforms generate enough business so that it makes sense for established landscape contractors to participate? Going forward, platforms like Eden, Yardly and Mowsnowpros may grow to fill the needs of some segments of the landscape industry, without having a big impact on traditional businesses that run efficiently, do good work and thrive through brand recognition and word-of-mouth referrals.